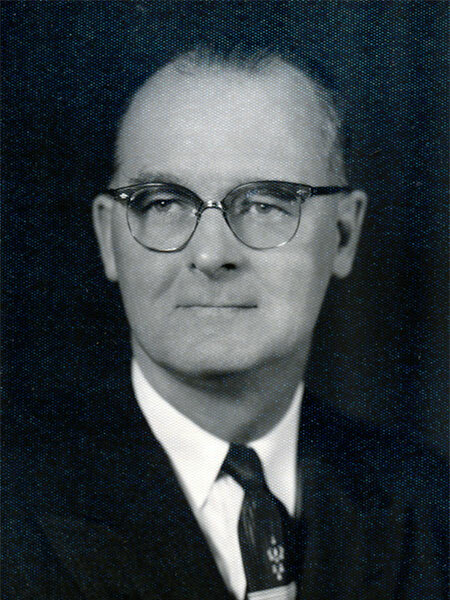 Born at Birtle on 28 February 1906, son of Francis Henry “Frank” Belton and Ellen Maria Scott (c1878-1909), he was educated at Roblin and attended Normal School at Yorkton and Saskatoon [Saskatchewan]. From 1923 to 1927, he taught at several rural Saskatchewan schools. After living at Shortdale for a year, he became a high school teacher and Principal at Grandview School, serving there for 28 years, until he became a school inspector at Swan River, in June 1955. He retired in June 1971. On 27 December 1932, he married Olive Pearl Bowes (1913-2007) at Grandview. They had a daughter, Iona Belton (wife of Andrew Kozak). He was a member of the United Church of Canada, Masons, Odd Fellows, and Grandview Curling Club. He died at Winnipeg on 3 June 1981 and was buried in the Birchwood Cemetery. “Retiring school inspector honored,” Winnipeg Free Press, 28 June 1971, page 70. Obituary, Roblin Review, 17 June 1981, page 7. Obituary [Olive Pearl Belton], Swan Valley Star and Times, 18 December 2007, page 27. We thank Sheila Dresen, Curt Belton, and Iona Kozak for providing additional information used here.